Neighbourhood policing teams in Northumberland will be hosting various community events to support Safer Internet Day. The awareness day takes place tomorrow to promote safer and more responsible use of online technology and mobile phones, especially among children and young people. 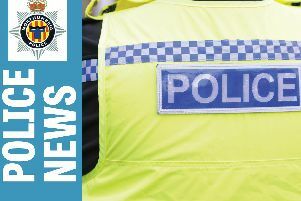 Action by Northumbria Police will include an assembly at Ponteland Middle School on the subject, while officers in Morpeth will be visiting schools throughout the week. Northumbria Police Detective Chief Inspector John Bent said: “The internet is an invaluable resource for people of all ages, but for younger generations it’s something which is used every day. “However, the internet is open to abuse because sometimes there’s little regulation or accountability so it’s vital users are aware of the potential dangers so we can all use the internet safely and responsibly. “Events such as Safer Internet Day ensure awareness is raised about the tools available to ensure proper education about the internet for parents and grandparents, and at the same time ensure children use it safely. Parents should talk to their children about their use of the internet. There are also technology solutions available, which ensure parents can monitor what their children are doing online. Northumbria Police and Crime Commissioner Vera Baird said: “E-safety is essential for everyone, especially younger people who use the internet so much in their day to day lives and it’s vital they understand the potential dangers involved with online technology. • Everyone they meet online is a stranger, even though they might seem like a friend. They should always tell you if they make contact with, or are contacted by, anyone on the internet. • They should always use a nickname when logging on and never give out personal details, such as their full name, home or school address, telephone number, personal email or mobile number. This information could let someone they meet online contact them. • Accepting emails or opening files from people they don’t really know can get them into trouble as they can contain nasty viruses, messages or links to things they don’t want to see. • They should talk to you or another trusted adult they know well and ask for help if they’re worried or upset about anything they’ve seen or been sent online.